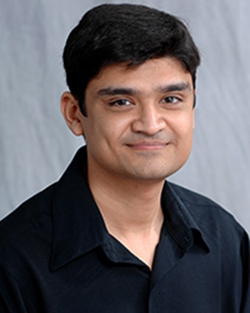 Tapan Pathak, UC ANR Extension Specialist in climate change, ensures that UC Water research remains relevant to agricultural clientele. He has partnered on a series of climate communication workshops. He brings skills in diverse and interdisciplinary sciences, including crop modeling and social science needs assessments, to the research/outreach arm of UC Water.